The U.S. Postal Service has been raising the cost of postage every year since 2006. But that’s not stemming the tide of mail that floods the typical large corporation every weekday. If you’ve ever worked a mailroom, you know that 25% or more of the mail that shows up at your office is junk addressed to folks who have long since left the company. But that still leaves a huge amount of mail to distribute. Some companies let people pick up their own letters and packages from an assigned slot in a central mail room. However, having a mail clerk make the rounds has some advantages too. Everything from legal documents to privileged industry data may be sent to your company in the mail. Making sure these letters end up with the correct person is critical for maintaining confidentiality. Speed may also be of the essence even for letters that aren’t clearly marked as highly important. For example, getting a utility bill to Accounting in time for them to go through the 2 week process of cutting a check could keep your company from having its electricity cut off. A mail clerk can also collect outgoing mail to speed it on its way to the post office. We recommend Luxi-Flex mail carts for distributing and picking up mail in corporate facilities. To figure out which cart configuration is right for your company, take into consideration how often you need to handle large packages. Wire baskets that accommodate hanging files are great for keeping mail organized for easy distribution. But you may need a platform for bulkier items. If you require employees to sign for their mail, choose a writing surface as an add-on option. The nice thing about these mail carts is they are completely adjustable for flexibility. Upper mail shelves can be adjusted or removed depending on the task at hand. 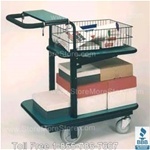 Each of the wheeled mail room push carts in the Luxi-Flex collection has oversized inset non-marking rear wheels. These let the user move easily through crowded work areas and manage bumpy surfaces with no problem. 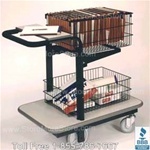 Since these StoreMoreStore platform and executive mail carts are intended for daily use, they come equipped with bumper molding to prevent dings to wallsand other surfaces. Comfortable foam covered, height adjustable ergonomic handles will help reduce hand and back strain even when the cart is fully loaded. 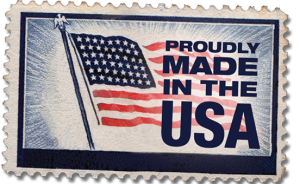 Best of all, they are made in the U.S.A.
Don’t miss this special deal for April only! 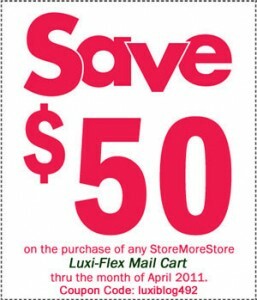 A $50 off coupon (USE COUPON CODE Luxiblog492) and FREE shipping!